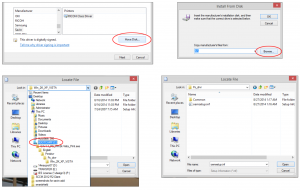 Download “prntdrv.exe” to your Desktop, and double-click it to launch the driver installer. 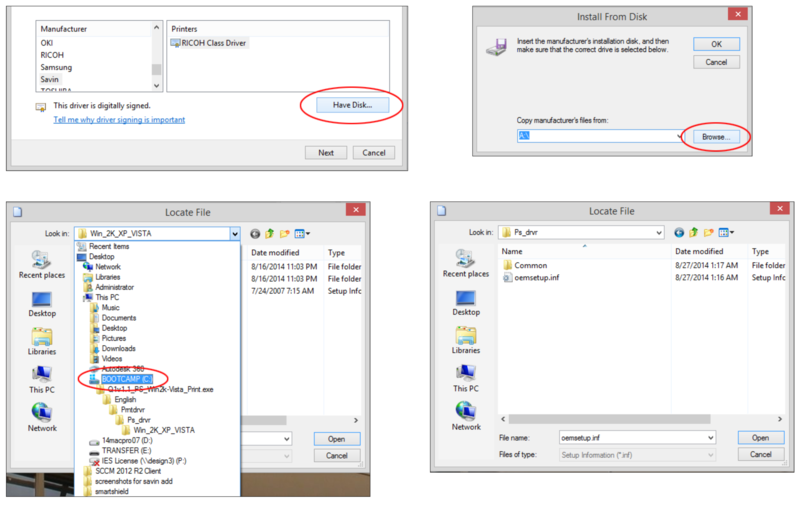 Follow the instructions in the application to install the printer driver folder on your C: drive. In order to use the new printer, you will have to add certain features to Windows that are not available by default. Open the Control Panel, and click “Programs”. Click the “Turn Windows features on or off” link. Expand “Printers and Document Services”. Click the check boxes beside LPD Print Service and LPR Port Monitor. Click OK to accept the changes. Open the Devices & Printers control panel. Right-click inside the Devices & Printers window, and choose Run as Administrator > “Add a Printer”. Enter your administrator password if it is needed. Windows may attempt to find local printers. Click the “The printer that I want isn’t listed” button to stop this process, and click “Next”. We need to create a new port. Select “LPR Port” from the list of options. The address is 10.10.8.66, and the print queue should be HOLD. Click the “Have Disk” button, then the “Browse” button. Navigate to the C: drive, and locate the folder named “Prntdrvr”. In the Prntdrvr folder, open the “PS_drvr” folder. The “oemsetup.inf” file should automatically be selected. Click “Open”. Select “Pro C5100Series E-22B PS US1.1” from the list of available drivers, and click NEXT. 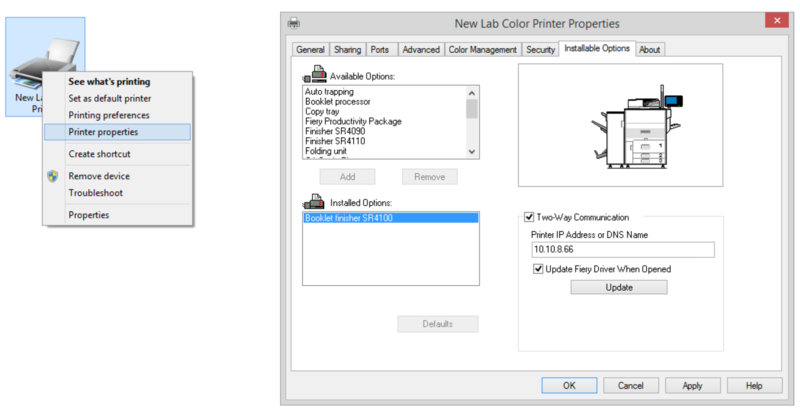 Change the printer name to ”New Lab Color Printer”. Click the Next button. Do NOT share this printer. Click “Next”. Do not print a test page. Click the FINISH button. At this point, we need to double-check that the installable options are showing up correctly. 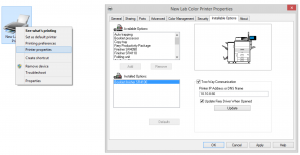 Right click “New Lab Color Printer” and choose PRINTER PROPERTIES from the list. Go to the “Installable Options” tab. “Booklet Finisher 4100”should show up in the list of Installed Options. Click OK. Your printer should be ready to use.